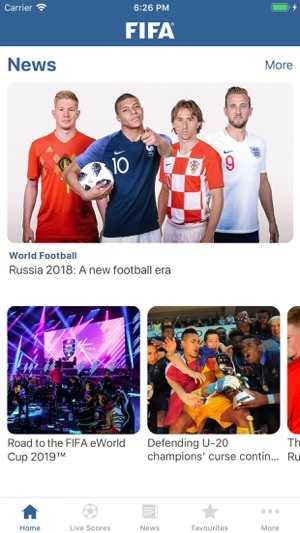 First, the program is named FIFA WORLD CUP 2018, but after launching the App you must look for the World Cup matches and standings - they are hidden behind other pages. First you must discover one needs to choose the “more” option, in the bottom menu, for then being able to choose the FIFA World Cup games in yet another menu. Looks like the program named after the World Cup places the games itself in second or third pane. 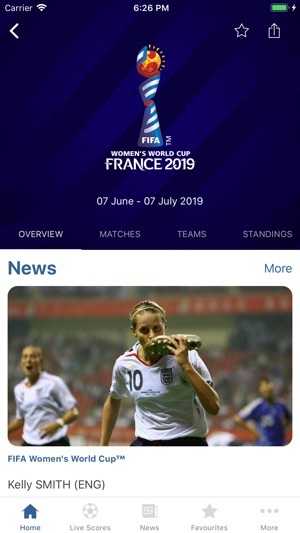 Now, you are at the Games, you choose Matches on the third menu that now appears at the top (so far, to reach the games, you go to bottom menu - ‘more’ - then, choose, World Cup, on list menu that appears, and finally the third menu which appears on top of screen. 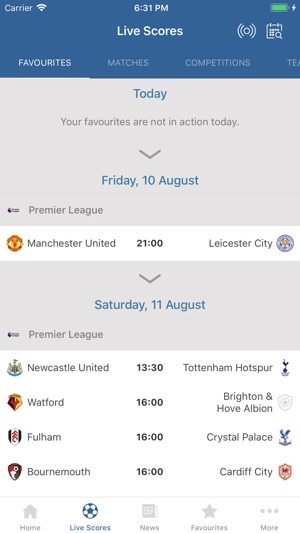 They could not have placed the matches on the homepage of the App...!?!). 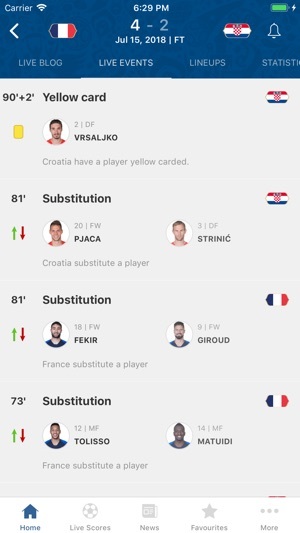 Now, once you click on the matches, the upper portion of the page (just some blue background coloring, good for nothing) keeps dropping down, covering the matches. So, you slide the upper blue section up, but it keeps on dropping down. Very annoying. Next, you click on Standings (top menu), but as you slide the menu left to reach Standings the menus also keep sliding back the other way... not the friendliest App to navigate. Very stubborn too. 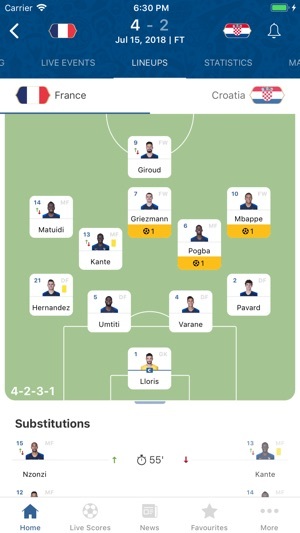 The app is great in the amount and variety of content: lives scores, commentary, videos, stats, player information, stories, news and much more. However, a few things need fixing for a better user experience - prevent live auto refresh from taking user to love scores when looking at standings or scores from previous phase (the app shouldn’t take me out of wherever I’m navigating.) Also, I have to restart the app sometimes because the graphical interface locks up.